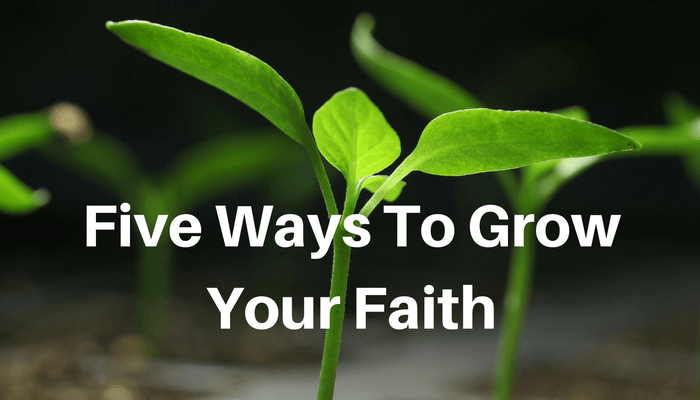 Blog Five Ways To Grow Your Faith! It’s impossible to grow as a Christian simply by attending church on a Sunday. The early Christians grew though both the lives they lived for God and also at times the suffering they experienced. They certainly weren’t sitting around passively waiting for their faith to grow or attending meeting after meeting enjoying God’s presence and seeking experiences. Their faith grew as they were stretched and don’t forget that at times they faced an extremely hostile environment. So the question is how can we grow our faith aside from Sunday church attendance? Many of us have experienced the grace of Jesus Christ and the love of God! However the one thing we may be missing out on is real fellowship with the Holy Spirit! We simply must cultivate a relationship with the Holy Spirit! God has created a desire in each one of us for such fellowship however our enemy the devil is fully aware of the benefits of such a relationship and will do everything in his power to stop us enjoying this. It may take time and effort but let me assure you it is worth it. Fellowship with the Holy Spirit is so critical to our spiritual growth. It’s the place of assurance, intimacy, power & strength, protection, peace, understanding, hearing God’s voice, sensing His heart, correction, guidance and deep revelation. 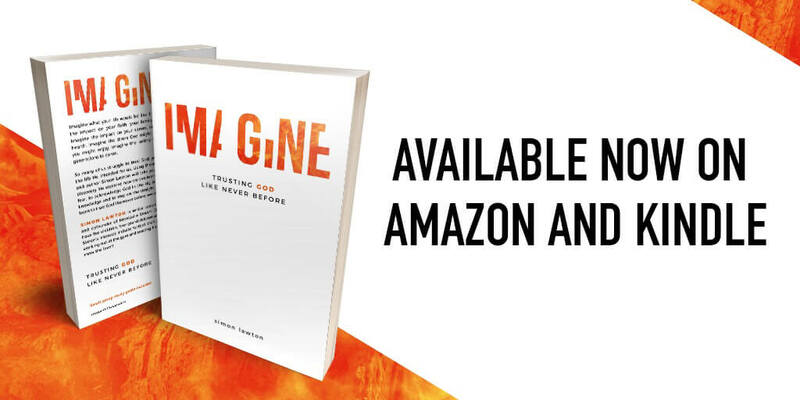 If your prayer life amounts to a quick prayer in the shower or during the morning commute to college or work then you are missing out – massively! There is so much more for you to discover and develop in your relationship with Father God. There are so many different ways & places in which to pray. Have you added worship to your prayers, or tongues, or walking, resting, soaking, silence or His Word? Have you ever simply allowed Him to set the agenda to your times with Him – you will be amazed what happens when you perfect this discipline. God loves to set the agenda of our times together and guess who benefits the most? I’ve written an article on ‘How to kickstart your prayer life’ which may help you get started and build your relationship with the Holy Spirit. It’s time to grow your faith. With the advent of podcasts, Kindle and other apps we are a generation that can invest in ourselves virtually wherever we happen to be. I love listening to podcasts at the gym and when I’m travelling but I also carve out time to read and invest in myself. Leaders are readers! One of the greatest decisions I made was to read the Bible in a year. Can you believe that I had been a minister for about ten years, completed a theology degree and yet had never read the Bible from cover to cover?! It was one of the best decisions I have ever made and I have read it completely every year since. It has transformed my life, my relationships and my ministry. I could not have made a better investment. We simply must invest in ourselves and grow our faith. The truth is this – no one can do this for you. Your pastor can’t, your spouse can’t and your boss certainly can’t! You have to make a decision for yourself and then get started. It’s time to grow your faith. If you want to grow then serving others is probably the best place to achieve this! Matthew records that ‘the Son of Man did not come to be served but to serve and to give His life as a ransom for many’ (Matt. 20:28). It’s incredible to think that the very Son of God, Jesus, chose not to be served but to serve! Service is the place of growth in our Christian faith. Serving is the place where we learn, grow, develop, mature, discover our gifts and ministries and often will open the door to our destiny and the reason we were born! As a young man I helped in the children’s work, served in the Boy’s Brigade, led our youth group, cleaned, gardened, led a small group and helped out wherever I could in God’s house. The great apostle Stephen started by serving on the tables – it was the door to his destiny. Whenever we are faithful in the small things then God is able to trust us with the larger responsibilities. So can I encourage you to start serving in a ministry – commit to one for a month – then try another ministry if that isn’t your thing. One of the main reasons that people shy away from serving on a team is the commitment of actually being there regularly. Make a choice to commit! Serving God and serving others is one of the best choices we can make and it’s vehicle for personal growth. Don’t let anything stop you serving especially if you want to really grow as a Christian! It’s time to grow your faith! We live in a generation that is seeking truth and reality. Many suspect there is more to their experience on planet earth than they are currently enjoying. How about sharing your faith with a close friend over coffee or lunch this week? Your faith will grow as you take this step and as you rely on God and answer all the questions they will have. You will learn to hear God’s voice as you ask Him for help in knowing what to say. 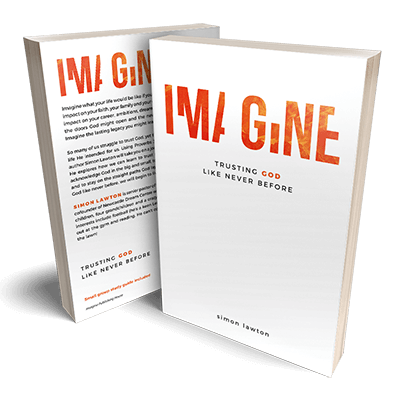 The truth is you don’t need to share about God from Genesis to Revelation – people simply need to hear what God has been doing in your life. Share testimony of God’s goodness, faithfulness, answers to prayer, miracles, healing, provision, peace, hope etc. One of the rules I have is that I will always offer to pray for people who don’t know God and express a need. It’s amazing how God shows up in those moments – He loves to demonstrate His incredible love for people at those times but He is relying on you and I to grasp the opportunity with open hands! Believe me – you will love those moments. It’s time to grow your faith! When was the last time you did something you’d never done before? A growing faith involves risk but a dying faith is often stagnant. Click To Tweet When was the last time you obeyed God instantly? Often we will make all the excuses in the world for not taking a step forward or doing something for the first time. Maybe God or people have been on your case for a while about you stepping forward to do something? It may be to train for a better suited job, start a business, write a book, join that team, launch that ministry that has been your passion for years. We have another young woman in our church who felt challenged to take a step of faith a couple of years ago and she told me it changed her life. She took a step of faith to leave her job in retail and set up as a puppeteer. Two years down the line the bookings are pouring in and she is so happy and fulfilled – all because she took a step of faith. I wonder what you would step forward and do if you absolutely knew you couldn’t fail? Maybe it’s time to take that step. You can be sure that your faith will grow as a result. I realised a long time ago that no one else could jump start my faith. It wasn’t my pastor or leaders job. I had to be a self starter and take responsibility. I’ve tried my best with Gods help to achieve this. We live in unprecedented times and believers need to be strong and mature not weak and insipid for who knows what the future holds. Can I encourage you today to grow your faith. You won’t be disappointed.